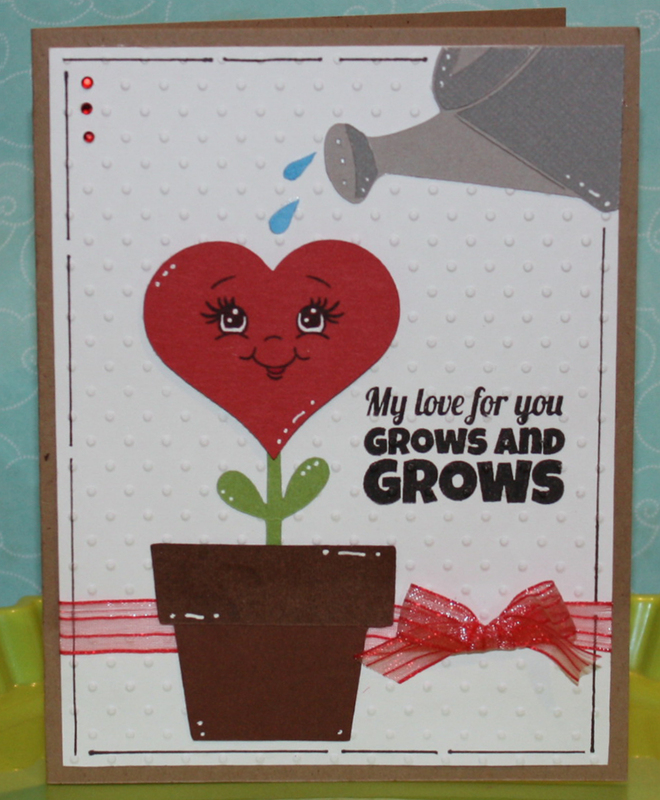 Sneak Peak #3 - My love for you grows and GROWS! 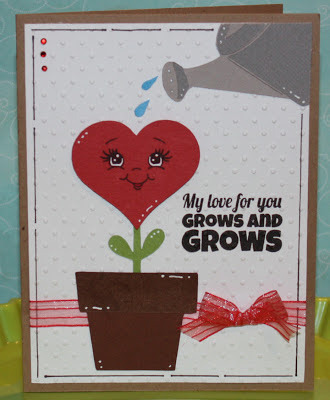 I used the pot, stem and watering can from Walk in my Garden, water drops from Everyday Paper Dolls and the heart from Lacy Labels to make my card. 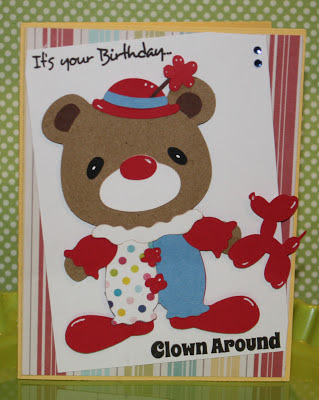 Next I used my Swiss Dots Cuttlebug embossing folder, a tiny bow, three tiny gems. 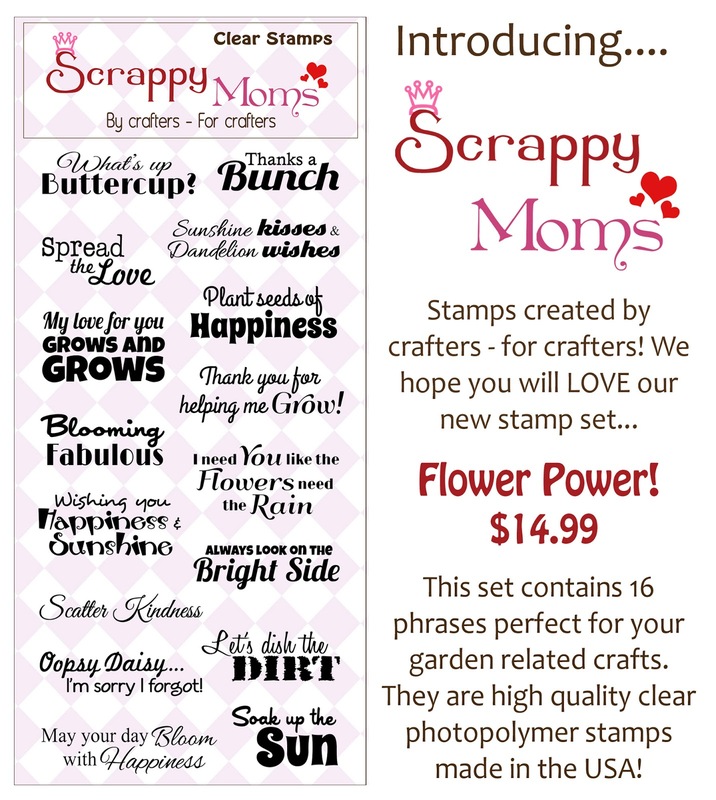 A sweet face from PKS In the Garden stamp set and a sentiment from our new Flower Power stamp set complete the project. 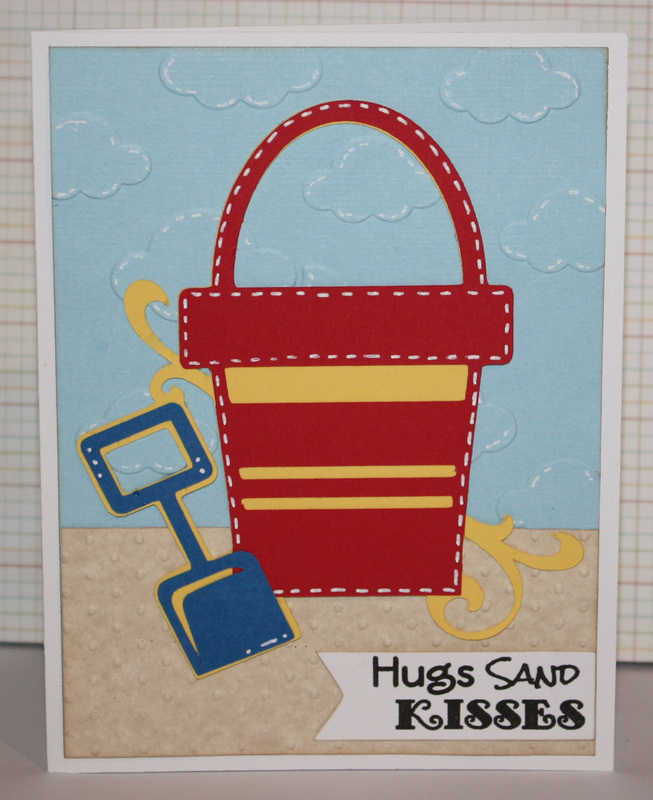 Thank you for much for stopping by today - I hope you enjoyed my card! Have a wonderful one! 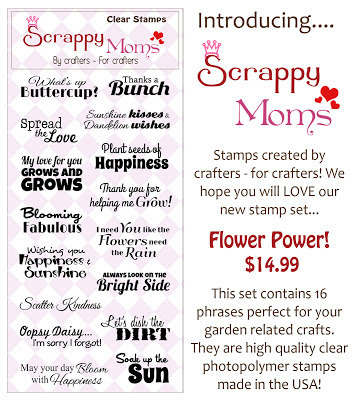 Introducing 2 new Scrappy Moms Stamps sets - Check This Out and Flower Power! 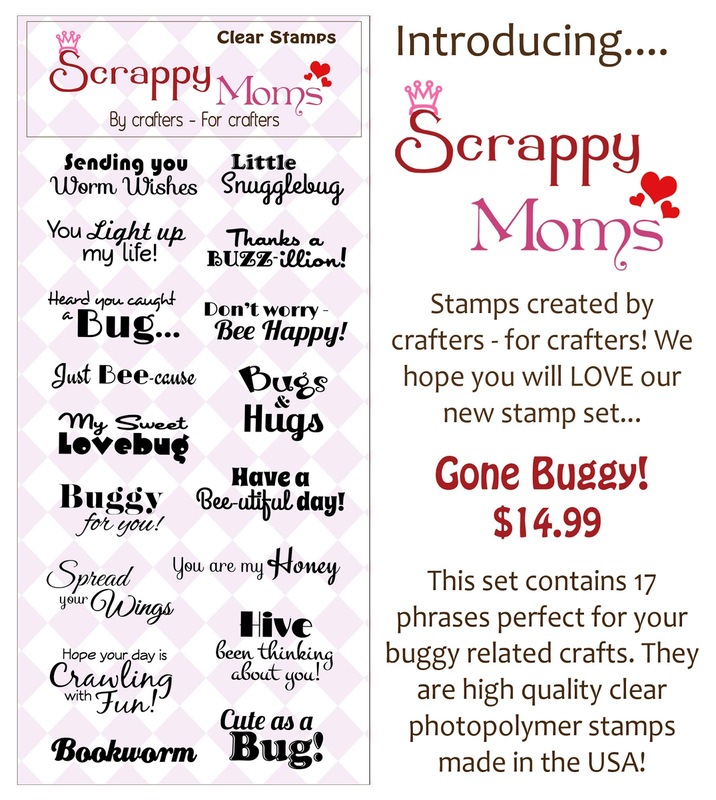 Please join me and the rest of the Scrappy Moms Stamps Design Team, including our June Guest Designer - Tara from Craftin' Desert Divas, all this week for new projects using these new sets. 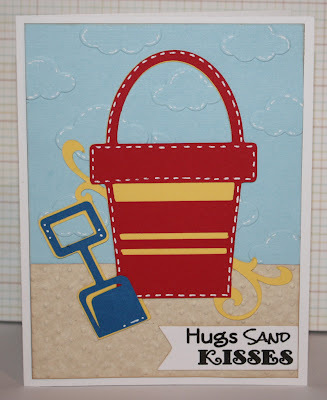 Terrific Tuesday Challenge - Summer Time! 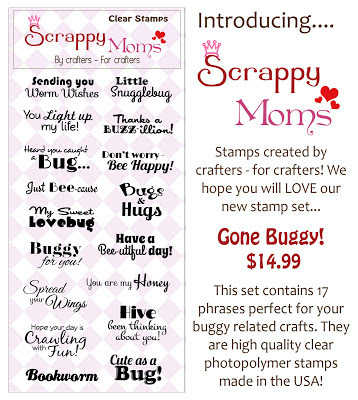 Come join us and link up your summer themed project for a chance to win a Scrappy Moms Stamps set of your choice. 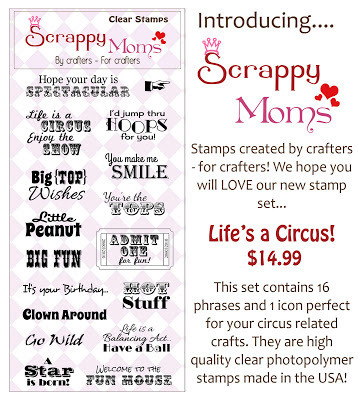 Scrappy Moms Release #3 - Clown Around! I hope you liked my card. Thank you so much for visiting me today! 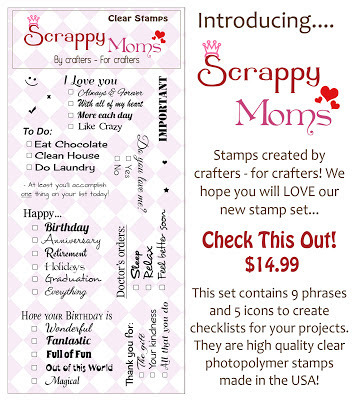 Scrappy Moms Sneak #2 - Hive been thinking of you! 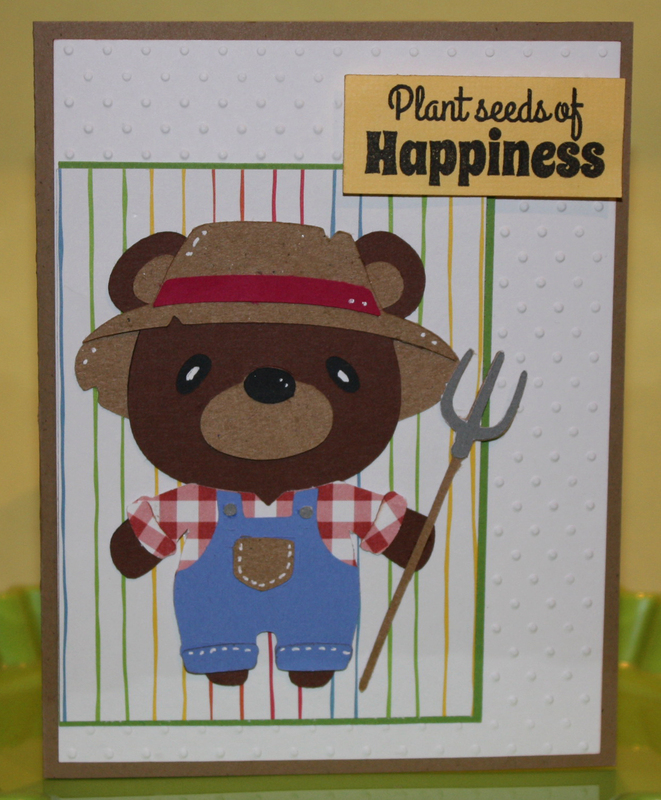 I am having so much fun with this set - isn't it cute? 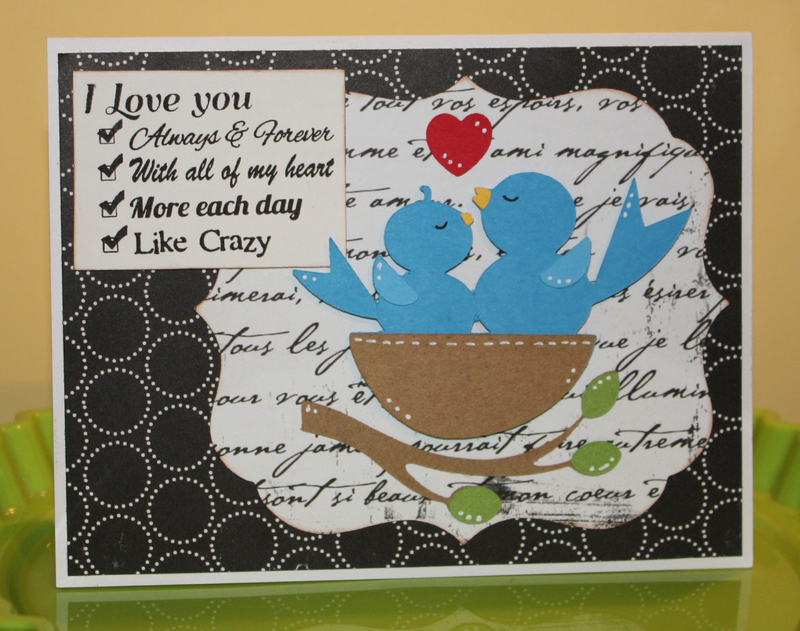 Thank you for stopping by today - I will have more projects for you this week. 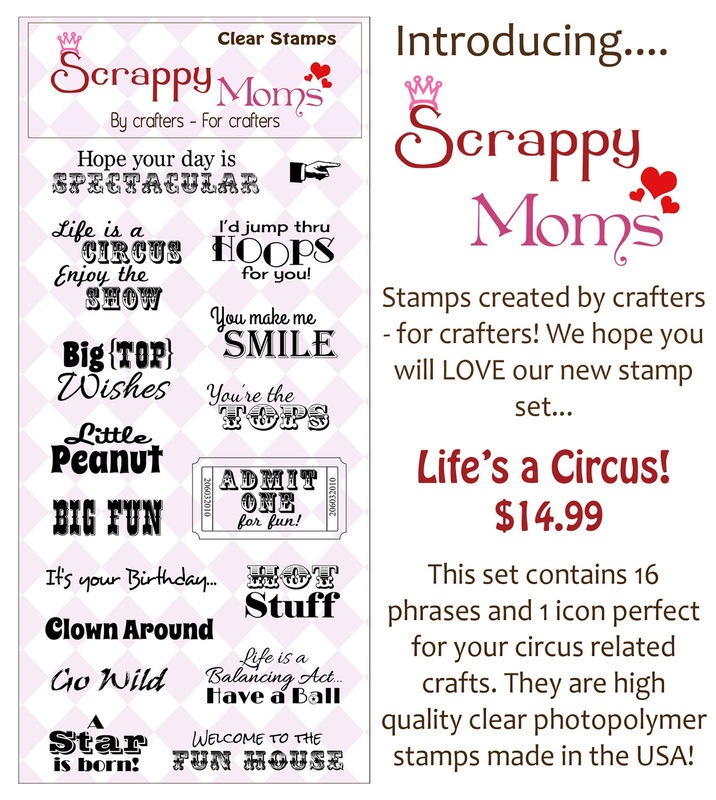 Be sure to visit the rest of our SMS Design Team, including our May Guest Designer - Julie from Ready, Set, Stamp!, to see their new projects too. 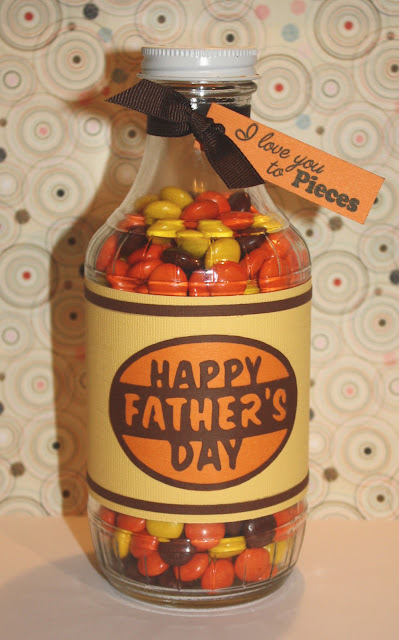 Terrific Tuesday Challenge - Father's Day! 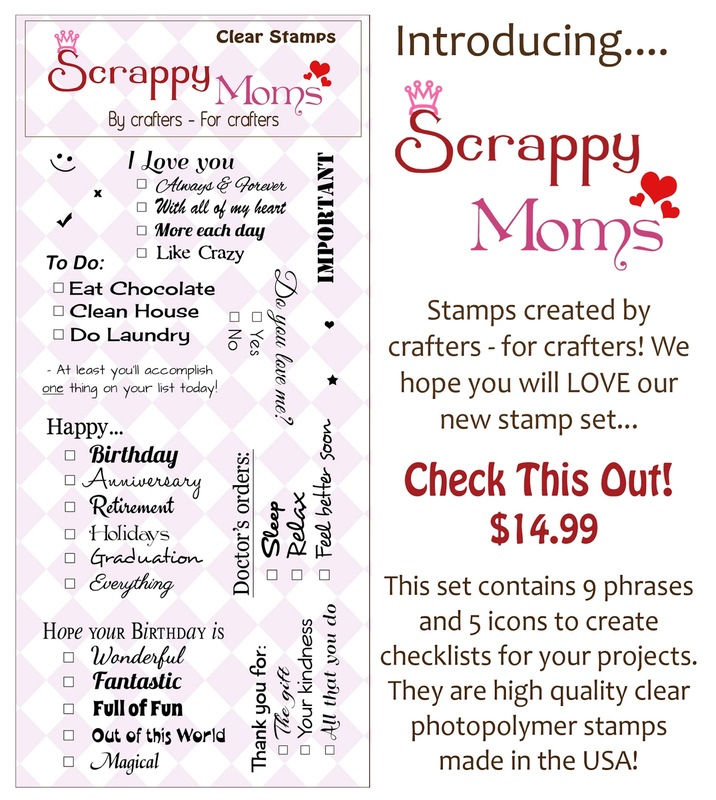 We hope you will come link up your Father's Day project for a chance to win a Scrappy Moms Stamps set of your choice.